Red Apple Daycare HistoryRed Apple Daycare opened its doors in 1986, our site at Grenoble has been operating since 2006. 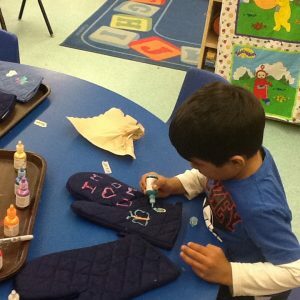 For over 30 years our non-profit childcare centre has been an integral part of the school community. Located in two locations, we are licensed to provide care for 179 children ages 3 months-12 years of age. Children are guided by skilled staff who establish a flexible program in an inclusive, supportive, and non-discriminatory environment. Children’s ideas are the crux of the emergent curriculum that is based on the interests and needs of the children. Open communication between and among Staff, children, families and the school community is crucial to realizing a warm and safe environment in which the children at Red Apple Daycare can play, learn and thrive.